Biographical sketches of the men who played trombone (and valve trombone) for Ellington, solo transcriptions, section transcriptions and musical analysis. Even if you’re not a trombonist or musician, well worthwhile as a survey of the band’s oeuvre. An award winning biography of Ellington’s right-hand man, arranger and composer William Thomas “Billy” Strayhorn (1915-1967). Besides the immortal ballad Lush Life, Strayhorn also composed and arranged the Ellington band’s long-time theme song, Take the “A” Train. “The idea of a substantial book about a major musical figure that pays relatively little attention to his music might seem counterintuitive — or, to put it less politely, pointless. 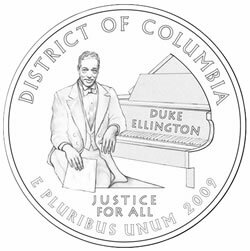 That “Duke Ellington’s America” succeeds as well as it does is a tribute both to its author and to its subject.